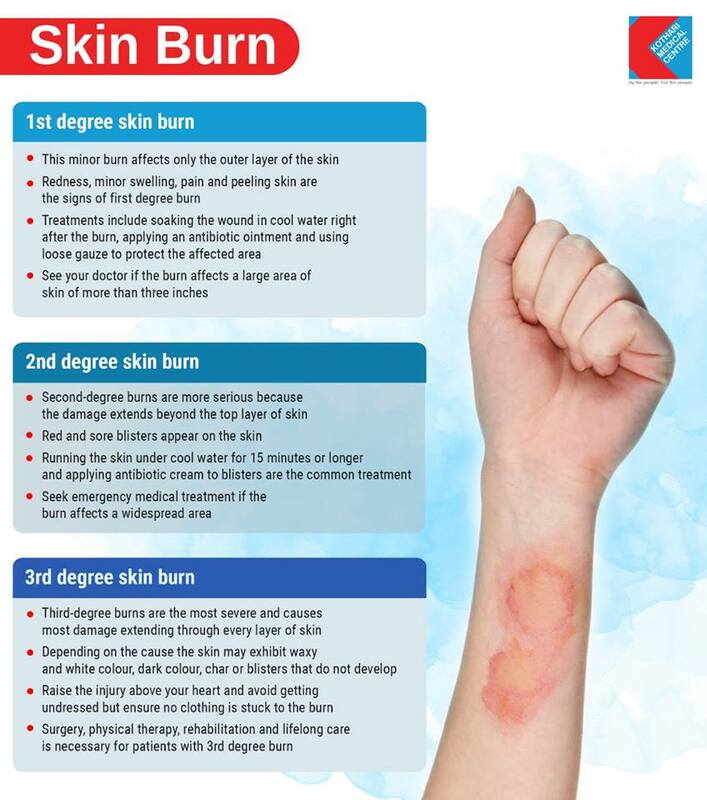 Compared with first- and second-degree burns, third-degree burns carry the most risk for complications, such as infections, blood loss, and shock. 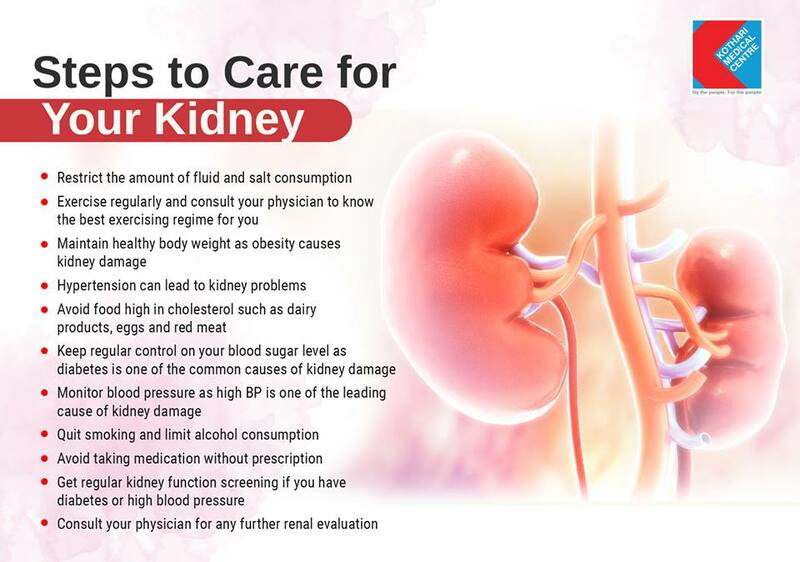 Most people with kidney problems will benefit from a healthy diet. 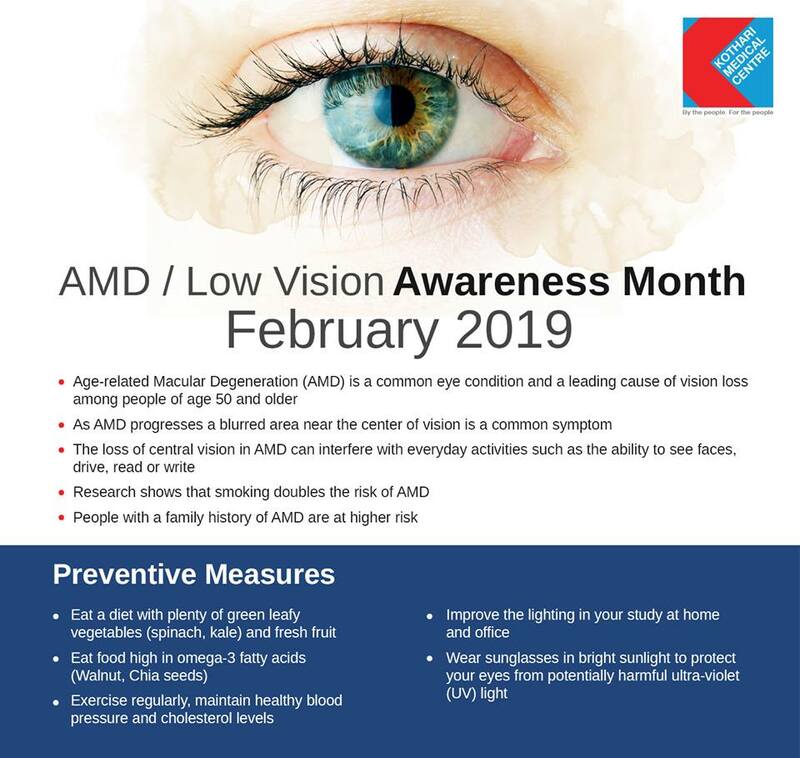 It is important to try to eat the right balance of foods to stay healthy. 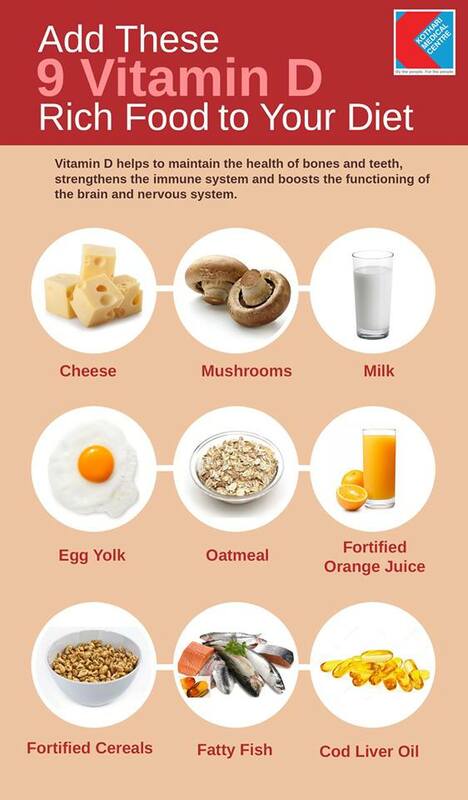 Vitamin D helps the body absorb calcium, which then builds bones and keep bones strong and healthy. 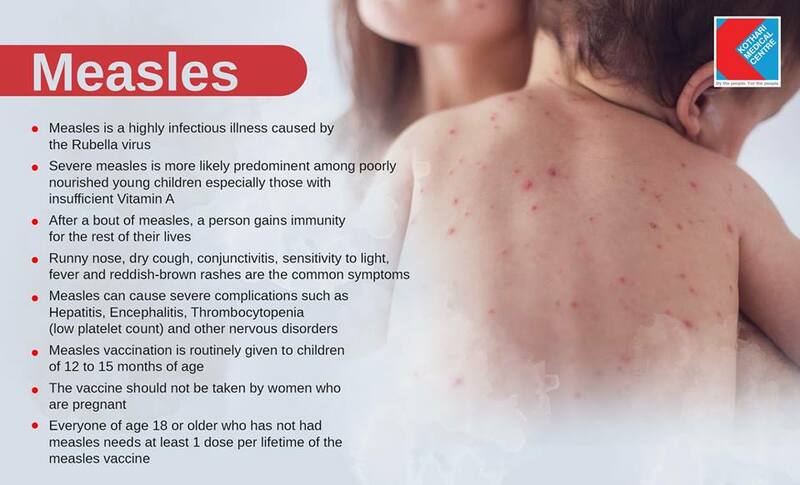 A widespread skin rash can be a sign of measles. This rash can last up to seven days and generally appears within the first three to five days of exposure to the virus. 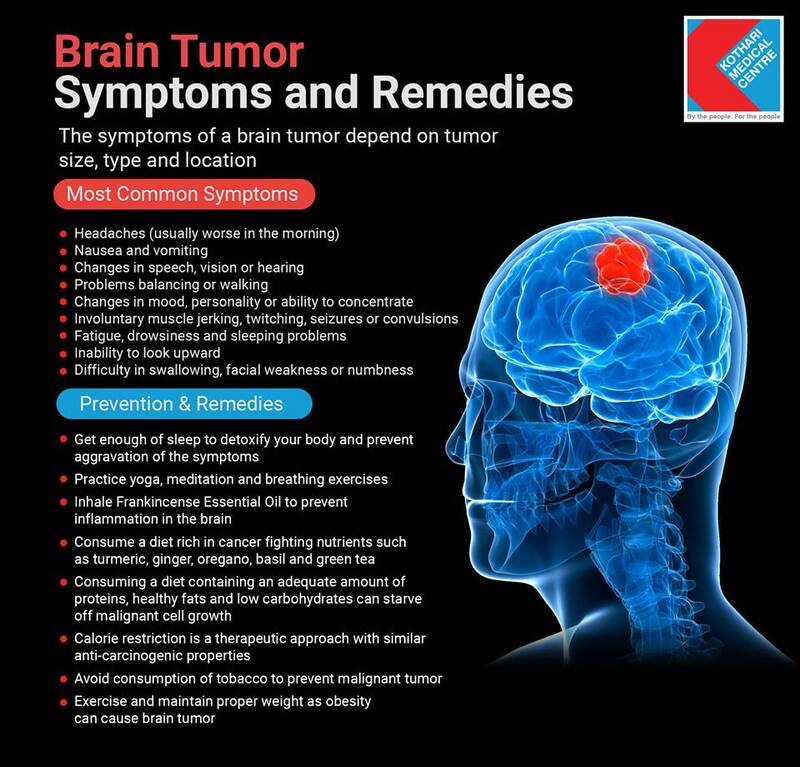 Contact a doctor immediately if you suspect you have measles. 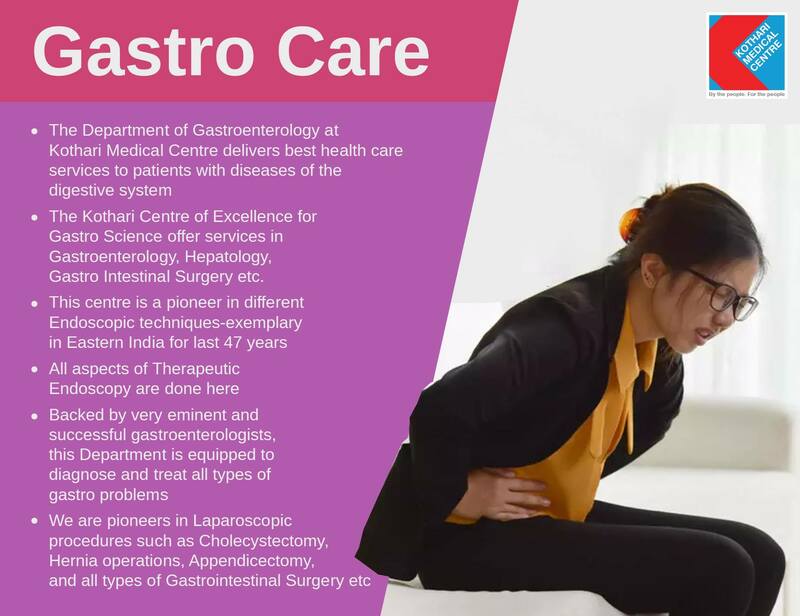 The Gastro Department at Kothari Medical Centre provides an extensive range of expert medical services in diseases and tumours of the stomach and bowel, liver disease, biliary diseases and inflammatory bowel disease. 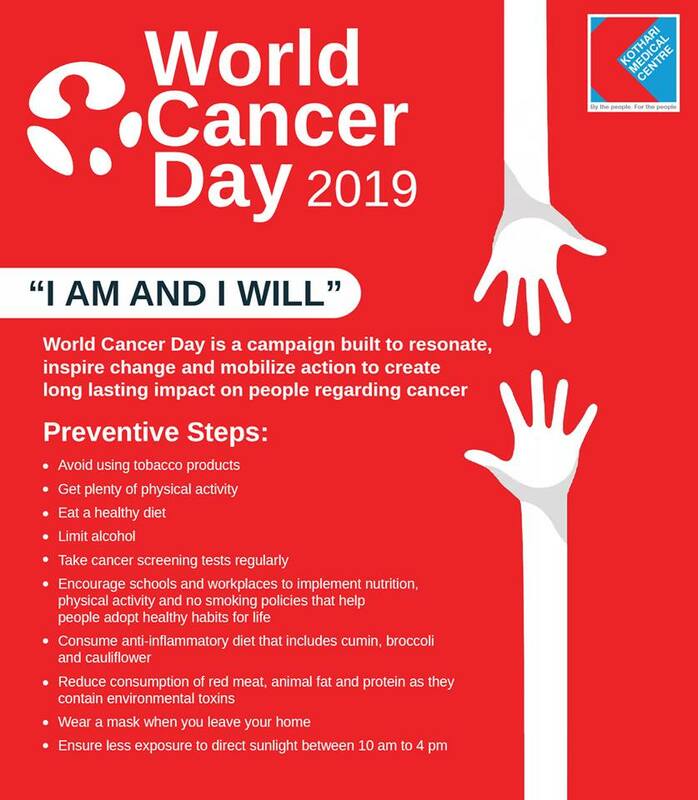 World Cancer Day unites the world in the fight against cancer. 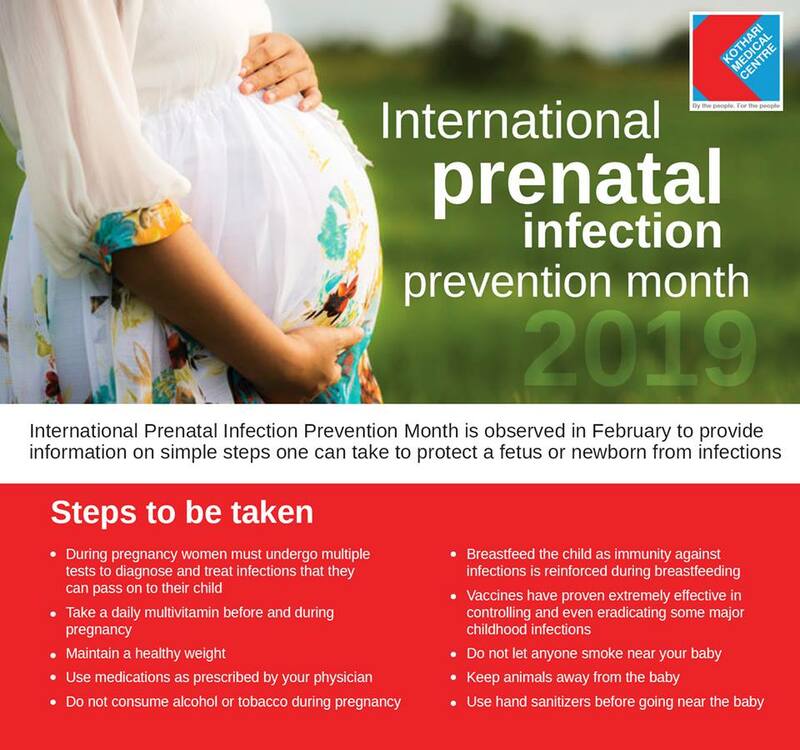 Mothers and caregivers require to take preventive measures to avoid the dangers that it poses to unborn and newly born babies. 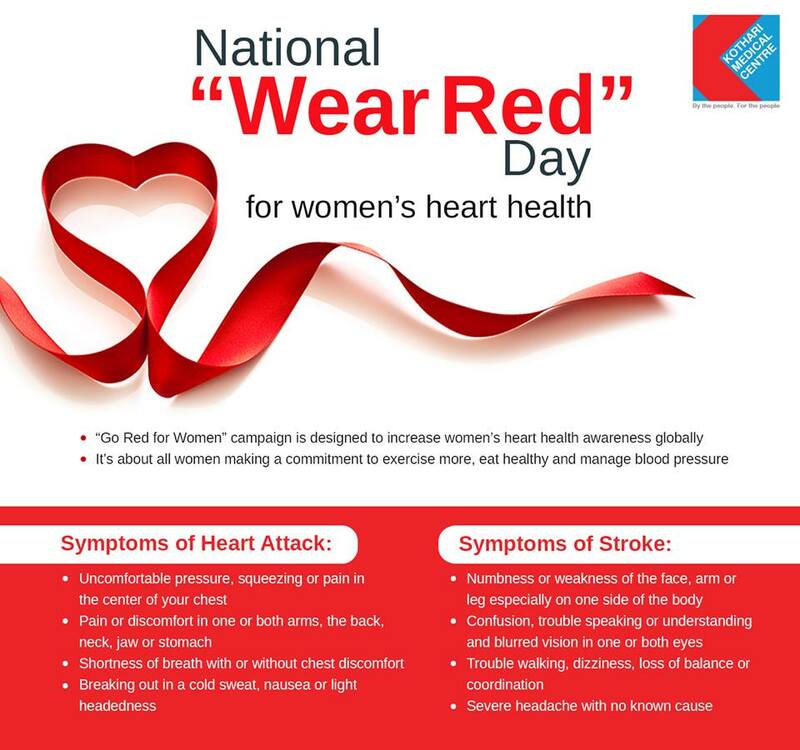 "Go Red for Women" is all about women making a commitment to stand together and take charge of their heart, well-being as well as the health of other women. 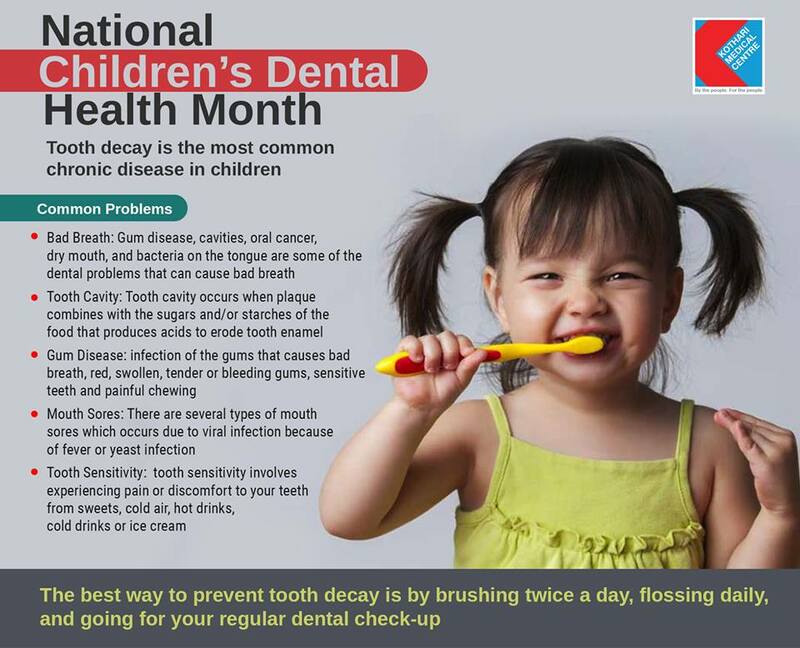 Untreated oral pain can cause problems with chewing and eating, which can harm your nutrition, and could possibly lead to serious health problems. 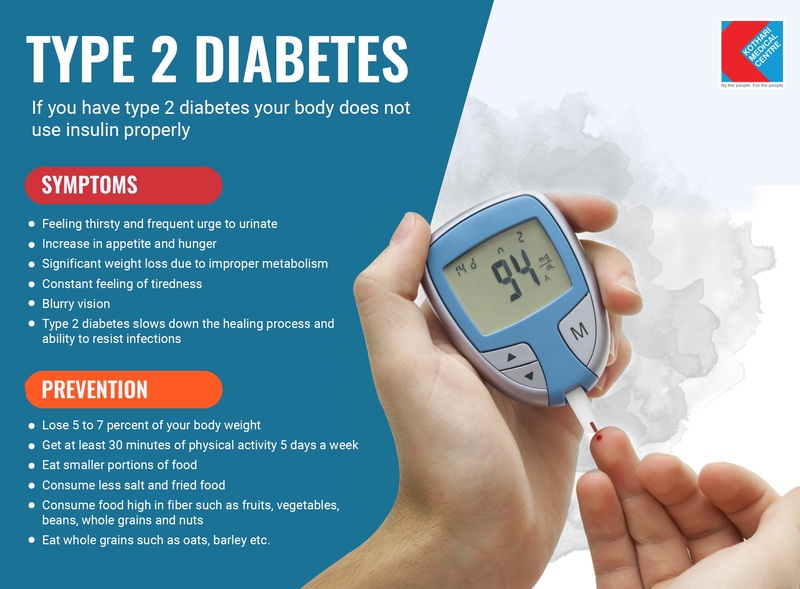 Type 2 diabetes can be prevented by adopting lifestyle changes that include moderate weight loss through eating a healthy diet and regularly exercising. 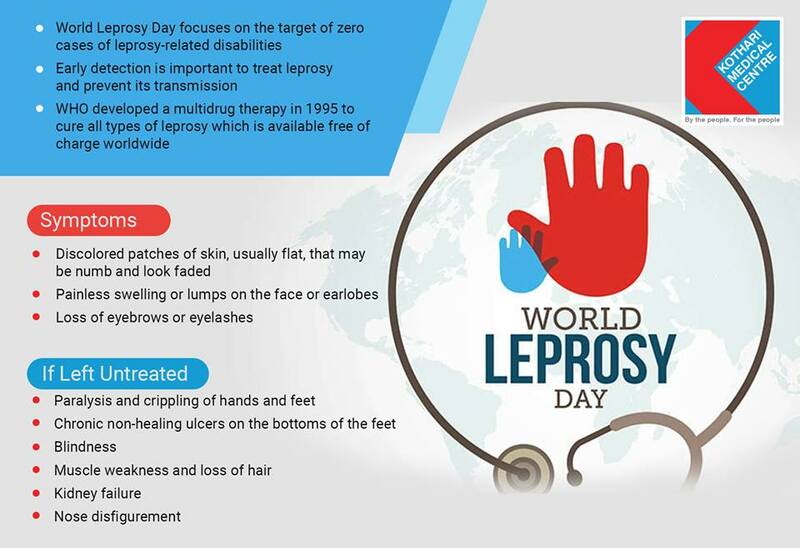 World Leprosy Day is observed internationally every year on the last Sunday of January to increase public awareness of Leprosy. 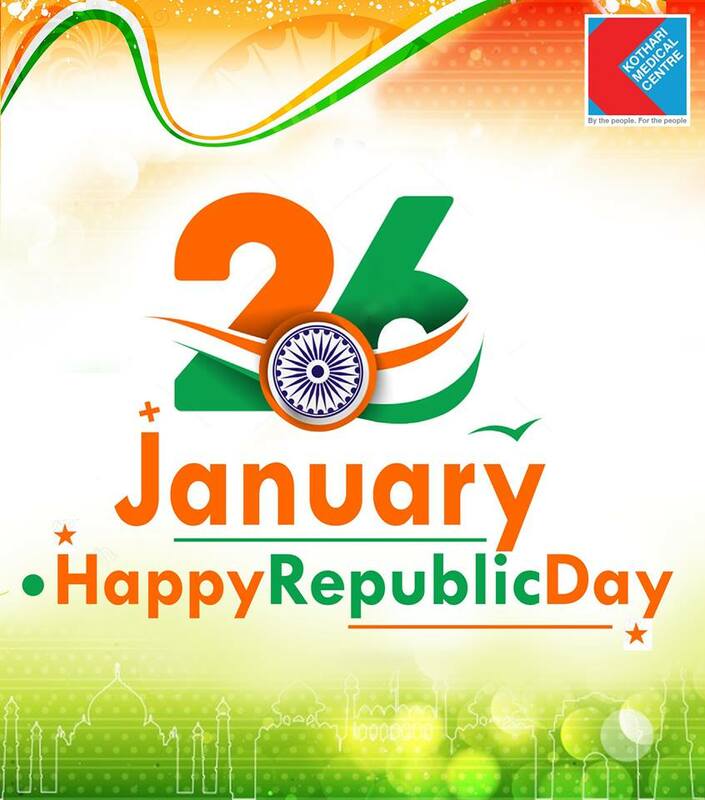 Wishing you a wonderful Republic Day infused with feelings of nationalism and patriotism!!! Happy Republic Day! 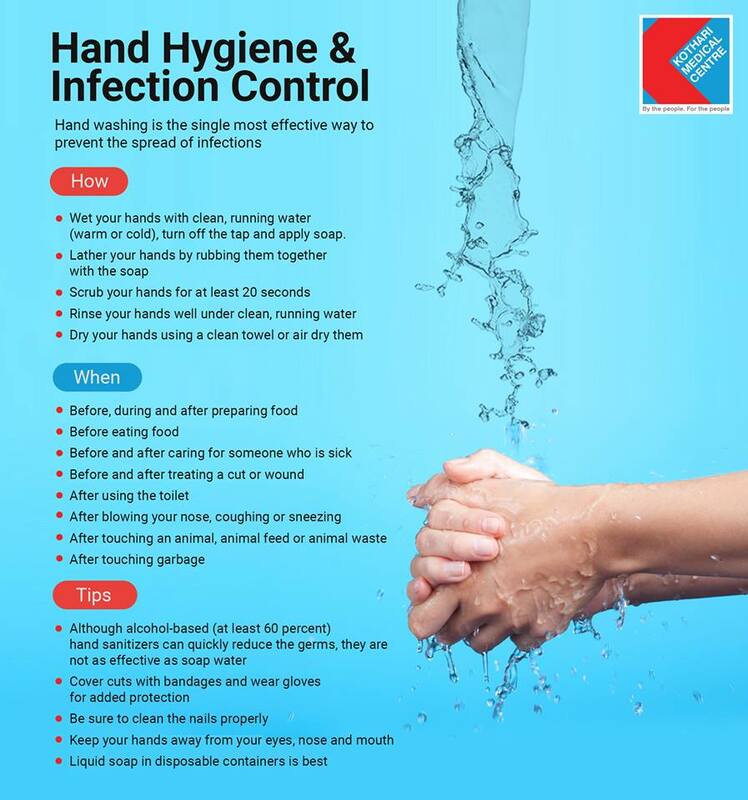 Most people are unaware of effective techniques of maintaining hand hygiene. Understanding the best practices related to washing hands would make it easier to prevent the spread of various diseases. 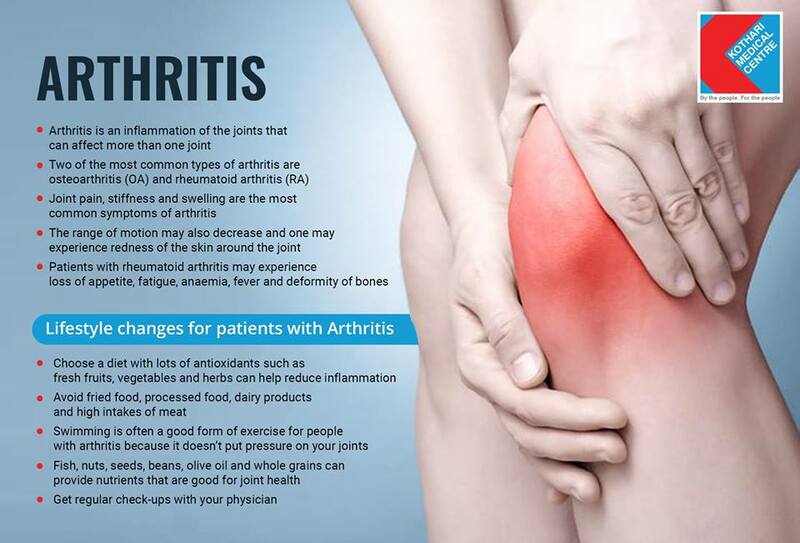 Arthritis is one of the most common health problems, especially affecting women above the age of 30. 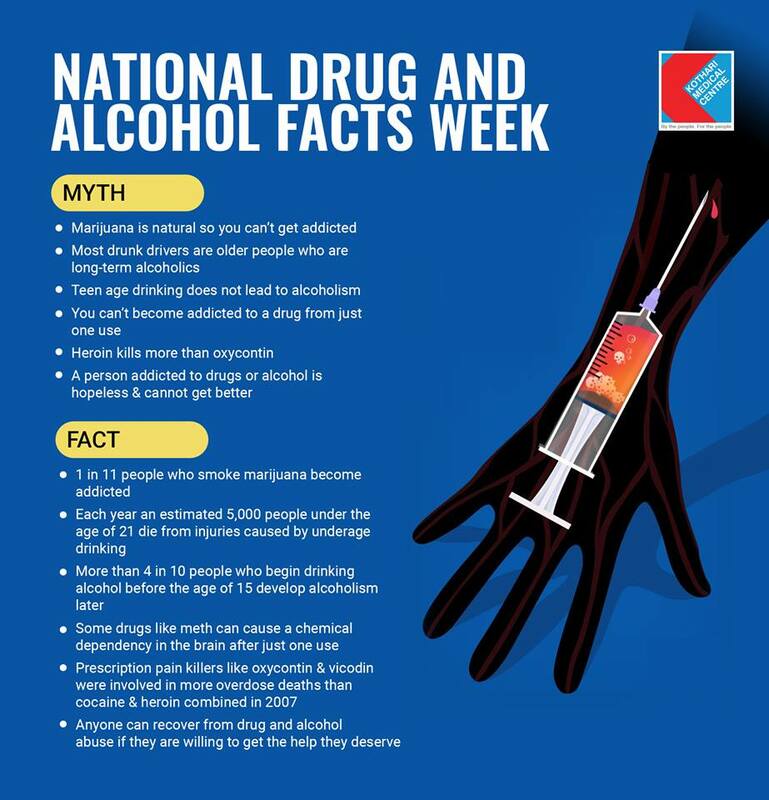 This week, January 22 – 27, marks the annual National Drug & Alcohol Facts Week (NDAFW). 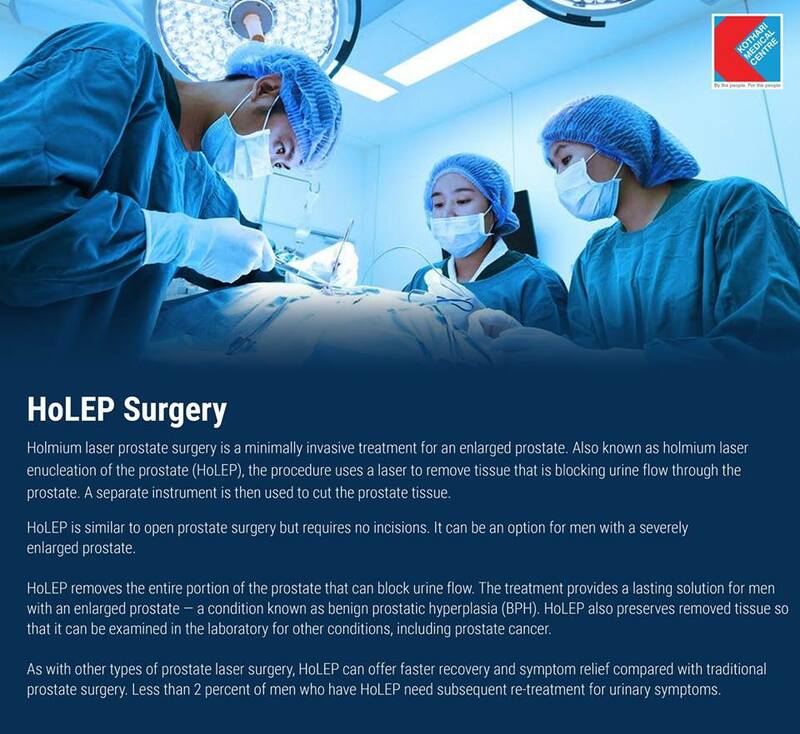 Gradual enlargement of the prostate is a noncancerous condition that can partially or completely obstruct urine flow. 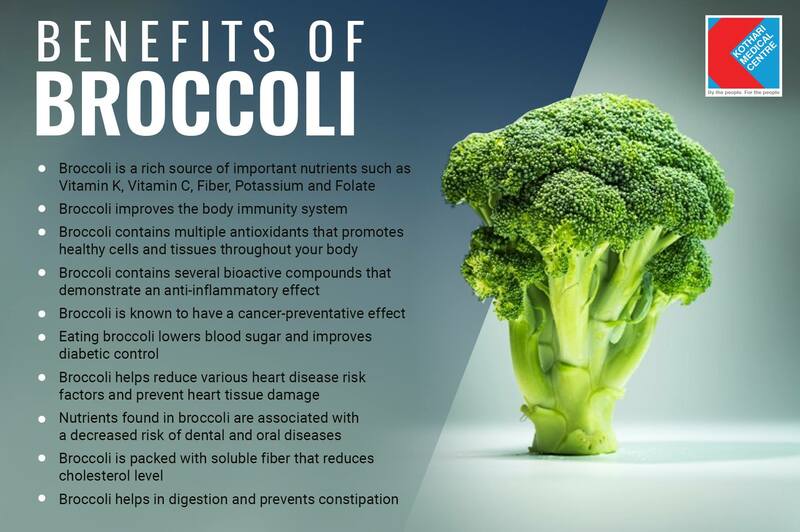 Eating foods with a natural fiber like broccoli can prevent constipation, maintain a healthy digestive tract, and lower the risk of colon related disorders. 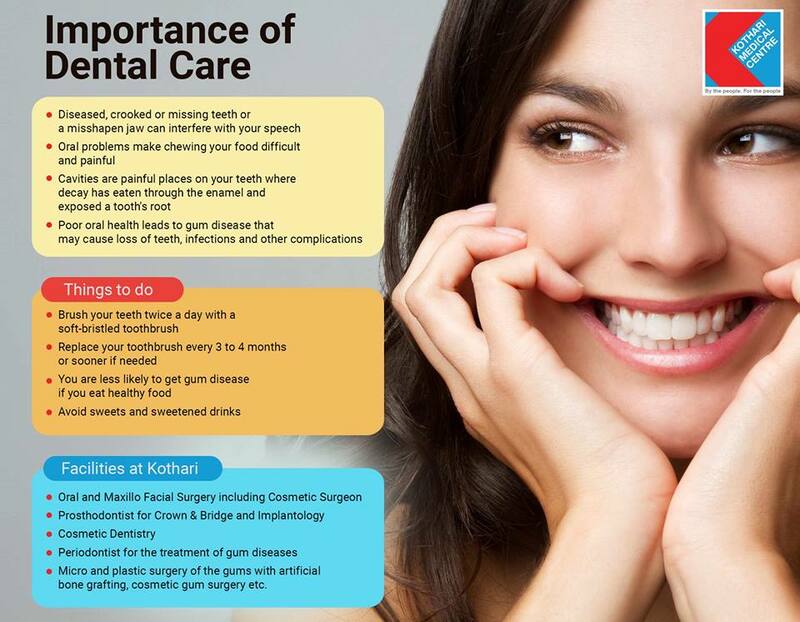 Kothari Medical Centre Eastern India's premier ultramodern, tertiary care hospital situated in Kolkata, is recognized nationally and internationally for its tradition of excellence in care.